This sauce was used on pulled pork and brisket that was cooked low and slow over cherry wood. The opinions are both mine and Will Breakstone’s, owner and pit-master of Willie B’s Award Winning BBQ. 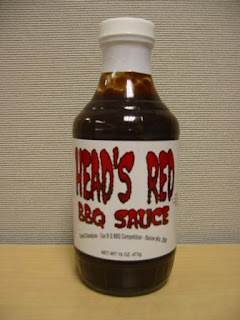 Heads Red BBQ Sauce is the sauce that has helped the Chi-Town Smokers place in numerous competitions. 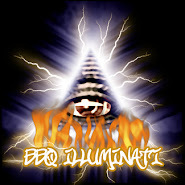 You can visit Heads Red BBQ website to view an impressive list of their accomplishments. The sauce comes in an 18 oz. glass bottle. The labeling is fairly sparse, with red text on a white background. The aroma is fairly mild and is not indicative of the taste of this very enjoyable sauce. The thickness of the sauce is just right. Not overly ‘gloopy’ and certainly not runny. This deep red sauce adheres to the meat well and avoids pooling. Heads Red BBQ Sauce is a sweet sauce with a very mild heat that is superbly integrated into the flavor profile. The flavor lingers without being obtrusive. There is a depth of flavor in sauces that are made to first please the manufacturer and then everyone else. You certainly get the feeling that if they didn’t enjoy the sauce it wouldn’t make it out of the warehouse. Of the mild KC style sauces, this is clearly one of the best. I highly recommend this sauce and it has earned a permanent spot on my shelf. The sauce can be purchased in numerous retail outlets in the Midwest. For online sales visit their site and check under ‘where to buy’.